Good Sport-a-Palooza! 35th Anniversary (virtual) Concert — welcome to the Good Sport! 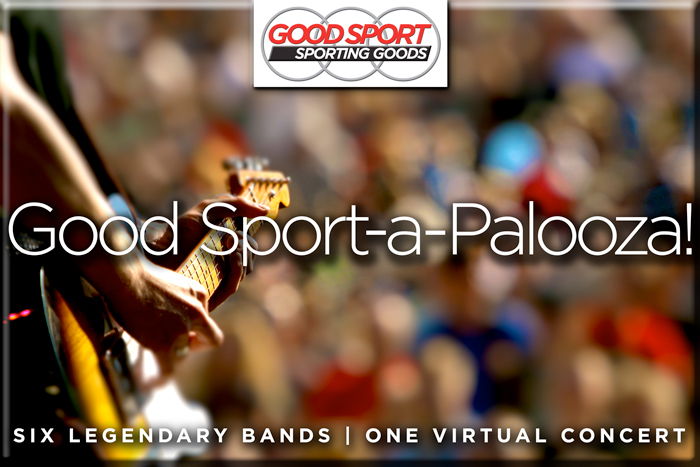 In celebration of our 35th anniversary, The Good Sport has invited a handful of top bands (from 1978) to perform at the first ever, GOOD SPORT-A-PALOOZA! virtual concert–celebrating three and half decades of great customers, like you!